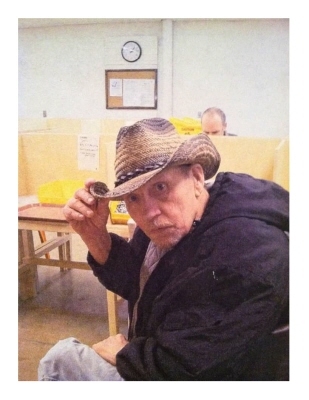 Ronald Bellel Hicks, 67, of Jonesboro passed away the morning of April 7th, 2019. He was born 67 years and one day before, on April 6th, 1952. Of all the holidays celebrated, his next home visit was most beloved; Ronald was known to count down the months, weeks, and days until his next. He enjoyed playing domino's, and when able bowling, swimming, and dancing. However, three things made Ronald the happiest: visits with his family, country music, and Southern foods. Ronald was born in Forrest City to the late J.W. Hicks Jr. and Bobbie Craig Hicks and over the course of his life obtained a large family, both biological and acquired. No matter where Ronald resided, he made new families and will be missed all over the state, from Conway to Booneville and Nashville to Ash Flat and finally Jonesboro as he was under the wonderful care of the Arkansas Developmental Disabilities Services Group. Preceding in death are his parents; brother, Douglas Hicks; sister, Becky Hicks; nephews, Little David Hicks, and Timothy Jackson; great-nephew, Noah Jackson; and great-niece, Jessica Inman. Those remaining to cherish his memory are a brother, David (Annette) Hicks of Caraway, Arkansas; sisters, Donna (Billy) Hale, of Branson, Missouri, Janice Smith, and Deborah Roberts, both of Carlisle, Arkansas; sister-in-law, Mary Hicks, of Brentwood, Tennessee; four nephews, Daron (Amanda) Hicks, Logan Inman, Jason Jackson, Jacob (Victoria) Hicks; three nieces, Cammie (Chris) Leer, Misty (Michael) Decker, and Becky (Tony) McKissick; along with 15 great-nieces and great-nephews. To plant a tree in memory of Ronald Bellel Hicks, please visit our Tribute Store. "Email Address" would like to share the life celebration of Ronald Bellel Hicks. Click on the "link" to go to share a favorite memory or leave a condolence message for the family.